You can build or store anything in this spacious workshop. 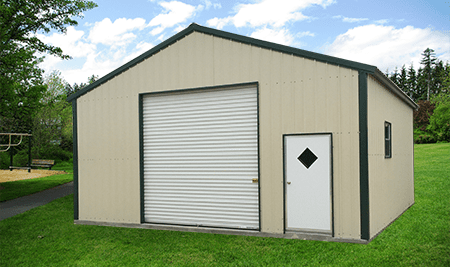 The Workshop begins at 24′ wide and can accommodate any of your individual needs. This is an ideal solution for anyone running out of workshop space in the basement or garage. Truss is required on all units and varies on style depending on building size. Price of truss is included in base price shown. This product can only be installed on concrete slabs. Pricing does not include concrete slab.